At a Monday meeting in the Belarusian capital, Minsk, the European commissioner said her visit had historic value and that she had come to demonstrate the potential of relations between Belarus and the EU. "Our interaction should be reciprocal. If you display such interaction, then the potential will be fulfilled," ITAR-TASS quoted her as saying. Ferrero-Waldner mentioned certain steps that Belarusian authorities had undertaken, such as the release of prisoners, allowed the EU to reconsider its approach to the country. But at the same time, she added, certain requests have not been complied with yet. "If you have such a desire, we are ready to develop cooperation," she added. “We did not give up though: in November 2006 we sent a special message to the Belarusian people explaining what the EU had to offer as soon as the government made progress on respecting its people's fundamental rights," she continued. Recently, the European Union welcomed Belarus to the multilateral group of the so-called Eastern Partnership, seen by many as designed to curb Russia's influence on the six former Soviet republics: Armenia, Azerbaijan, Georgia, Moldova, Ukraine and Belarus. 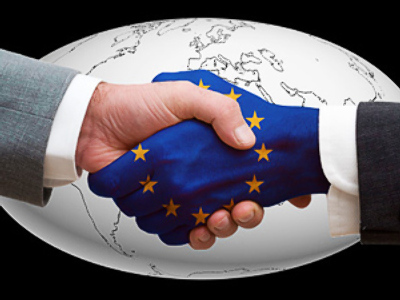 As stated in a press release posted on the EU website, the program offers these countries a close economic and political bond with the European Union. "The Eastern Partnership is designed to accelerate political and economic reforms in eastern European countries, bringing them closer to the EU. It's also about helping countries consolidate their sovereignty and avoid new dividing lines in Europe. There will be joint projects and exchanges of know-how in areas as diverse as good governance, the economy and energy," the EU commissioner noted. Yet to deserve membership in this EU-led club, the country’s leadership would have to ease their control over political life in Belarus. "To be specific, we would like to see changes to the electoral process to make it transparent and fair and translated into changes in the legislation. All media should have equal and fair access to information, printing presses and distribution networks," Ferrero-Waldner said. "More generally, the people of Belarus should be able to express their views in meetings or at peaceful demonstrations in the street," she added. Among the prospective benefits having been promised to Minsk should it succeed in complying with the EU requests, were lighter visa requirements, closer trade relations and economic support. The EU commissioner also noted that Belarus is potentially able to play a greater role in Europe. 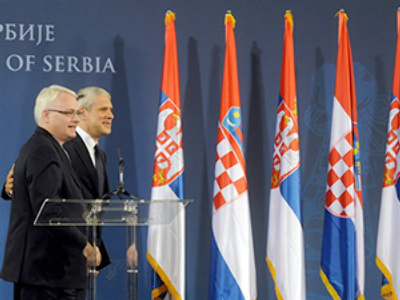 “At the crossroads of Europe, you have the potential to connect East and West and North and South. You have much more to offer for the future and I hope you seize the opportunity to do so," Benita Ferrero-Waldner said. Belarusian president Aleksandr Lukashenko has welcomed the proposals offered by the EU. "We have a foundation to build our ties on. We honestly want to forge good ties, even if this may not be to somebody's liking," he said during the meeting. But, Lukashenko added that Minsk would like the EU to understand that Belarus "is not only a geographic center for this continent," but also "a sovereign and independent state." 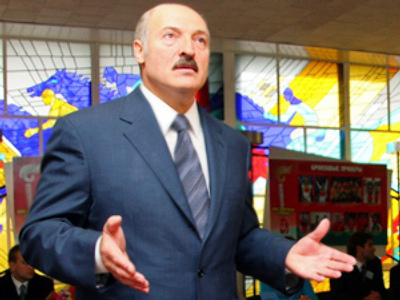 Lukashenko, who has been running Belarus since 1994, was once dubbed "Europe's last dictator" by Washington. Now he is moving to rebuild ties with the West, having freed several political prisoners last year, in line with EU demands. The European Union then suspended a travel ban on the Belarusian leader and other authorities, and the country has been invited to join the EU's Eastern Partnership program. As regards the EU’s offer of economic support, which is particularly important for Minsk given its conflict with Moscow, the results of the meeting appear to be less groundbreaking. Benita Ferrero-Waldner brought with her an offer of €10 million in financial aid from the EU to Belarus. On Tuesday the Kommersant newspaper quoted experts as saying the sum is far too low to save the country’s economy. Yaroslav Romanchuk, the head of the Belarus-based Mises Research Center, stated that Minsk required at least $7 billion. At the same time, during her meeting with President Lukashenko Ferrero-Waldner raised the prospect of far bigger loans to Belarus. Such aid, however, is conditional on privatization of key enterprises in Belarus and a willingness by Minsk to sells them after that to European investors, according to unnamed sources affiliated with the negotiations quoted by Kommersant. The enterprises of interest are primarily those involved in refining oil and mining potassium deposits. “In private conversations, Europeans openly tell that they are ready to offer market prices for Belarusian enterprises, but will only give such sums on a security of buying them,” the newspaper’s source said. In practice, therefore, the competing proposals of financial aid from the EU and Russia are nearly identical. In both cases Minsk would get loans in exchange for its key enterprises, which means that Lukashenko will have to make a difficult choice sooner or later. On June 6, Russia forbade import of all dairy products from Belarus. In official statements, Minsk was accused of failing to comply with new regulations adopted in the Russian Federation, as well as of pursuing a predatory pricing policy. Most analysts have sourced the recent deterioration in bilateral relations between Moscow and Minsk to Russia’s reluctance to free up another $500 million in loans to Belarus. On June 17, however, the “milk war” was officially pronounced to be over, and both states reportedly came to an agreement on all controversial subjects. The following day, Belarus was allowed to resume export of its dairy products to Russia. The President of the Parliamentary Assembly of the Council of Europe (PACE) Lluís Maria de Puig states that he hopes Belarus will be able return to the Assembly as a Special Guest. In his opening address on Monday he said that he hoped the Assembly would adopt a resolution on Tuesday calling for the Belarusian parliament's Special Guest status to be restored, the PACE website reports. The Assembly was expected to adopt an important resolution during this session, he said, establishing a new “Partner for Democracy” status to some of the Council of Europe's neighboring countries. However, on Tuesday, PACE decided that Minsk should first abolish the death penalty in the country and only then would it be able to return to the Council of Europe in the Special Guest status. “PACE is ready to restore the status of a Special Guest for Belarus, if Minsk ratifies a decree on the introduction of a moratorium for the death sentence,” the PACE report says according to Interfax. “We hope, that all this will be settled,” he said to journalists upon completion of the PACE consultations on Belarus. He also pointed out that for Russia – which is a member of the Assembly itself – Belarus is an ally, and Russia will be helping this country to regain its status of the Special Guest in PACE. According to Nikolay Samoseyko, a member of the Belarus National Assembly, the moratorium may be introduced as soon as in fall 2009. “Things reached a resolution point long ago. Belarus is absolutely ready for this,” Interfax quoted him as saying. “In 1996, the number of death penalties was 43 times of today’s level. In 1996, 86 people were sentenced to death, while in 2008 there were only two,” Samoseyko added. Belarus was given a Special Guest status by the PACE in 1993. However, after the national referendum of 1996, when presidential powers were significantly expanded, and those of the Parliament cut, the country’s request to become a PACE member was frozen. Later, following the Assembly’s recognition of the Belarus presidential elections of 1997 as non-democratic, Minsk has lost its status of a Special Guest.